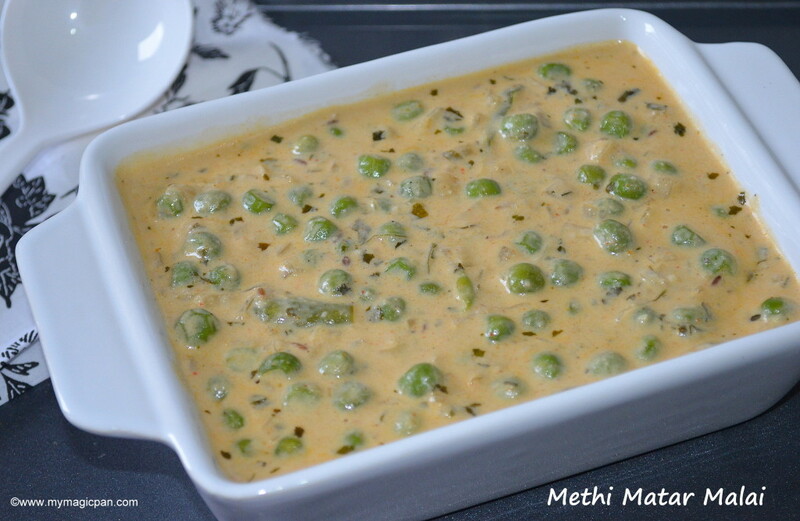 Methi Matar Malai is a rich and creamy side dish with green peas and methi/fenugreek leaves. 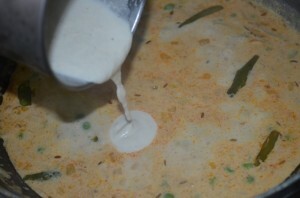 It is one among the most popular recipes in a restaurant’s menu card. 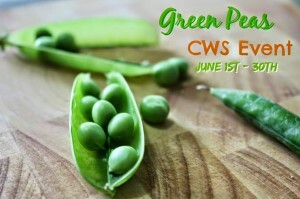 It goes well with roti, naan and pulao varieties. 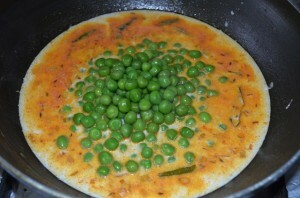 U would definitely love the aromatic combo of methi leaves and sweet green peas. 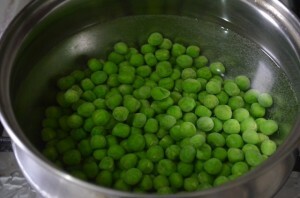 Heat a pan with water and add the green peas ( I used frozen) and cook until soft, but not mushy. Heat a pan with oil and temper with cumin seeds. 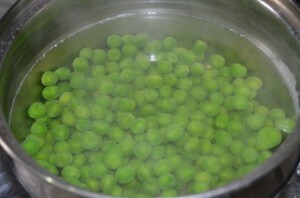 Add chopped onions & slit green chillies and saute until they become transparent. 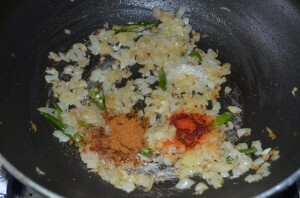 Add ginger-garlic paste, chilly powder, salt & garam masala and saute until the raw smell goes away. 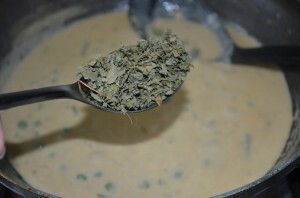 U can skip the red chilly powder and add more green chillies or green chilly paste for a white version of Methi Matar Malai. 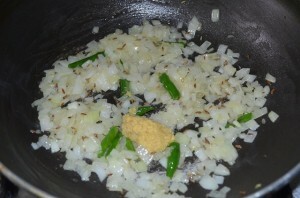 If using fresh methi leaves add/saute it for a few seconds after the onions are transparent. 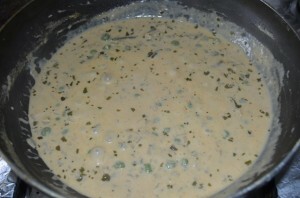 Though the recipe is Methi Matar “Malai”, I have not added any Malai (cream) as it was rich & creamy enough with milk & cashew paste… U can add a tbsp of fresh cream finally as per your taste. 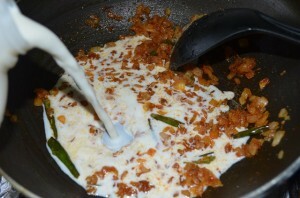 Vow very health dish; one can replace malai with yogurt specially if someone has weight problem. This is the beauty of eastern dishes you can modify it as you want. 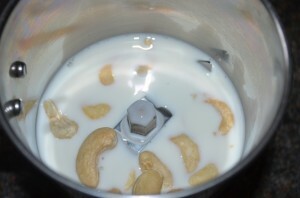 Great post thanks for sharing. 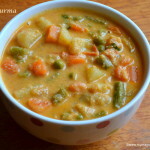 Very rich & creamy dish………looks so invitng.